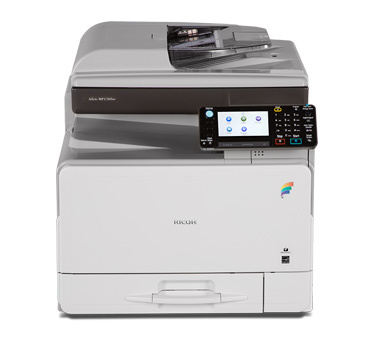 The Ricoh MP C306 SPF is a compact, innovative multifunction machine, ideal for small to mid-sized businesses. 4.3” tiltable color touch panel display with a new customizable home screen, where users can personalize their individual home screen to set up shortcuts that speed repetitive tasks. Enjoy fast print speeds of 31 pages per minute as well as mobile printing capabilities. This latest printer from Ricoh has the software to keep your information secure and is also approved by Energy Star as an environmentally friendly machine.